The Summer 2015 box office is already shaping up to be pretty major with the releases of Pitch Perfect 2 and Mad Max: Fury Road slated to be released on May 15,2015. Another heavy-hitter is joining the "Yep, we're already predicting next Summer's box office" club — the Adam Sandler and Kevin James comedy Pixels will also hit the theaters on the very same day. The film also stars Michelle Monaghan (True Detective), Josh Gad (Frozen) and Peter Dinklage (Game of Thrones) and will be directed by Chris Columbus (Harry Potter and the Prisoner of Azkaban). Pixels is about what happens when aliens receive classic video games as messages of war and threaten to destroy mankind. So what's the human race to do? Call on the nerds, of course. When the aliens use the video games as blueprints for attacking our little blue planet, the President of the United States, who is played by Kevin James, looks to a pack of old-school arcade fiends to save the day. It's like Armageddon for gamers. 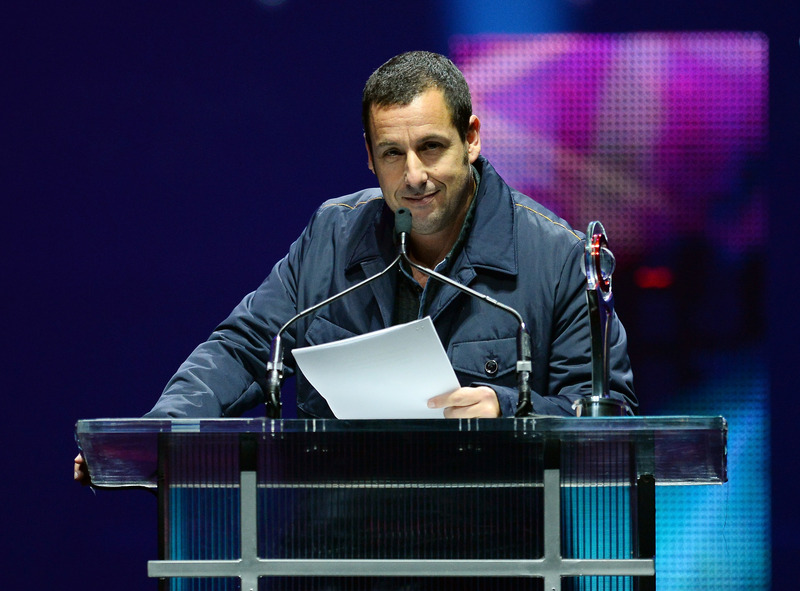 And now we have a film where Adam Sandler will rescue the fate of the Earth in sweatpants. So you say Kevin James is the President, eh? And Adam Sandler is going to save the planet? Okay, okay, respect with the Dinklage. But seriously, you're going to step on our turf?